Elementary Matters: Easter Stories, Freebies, Books, Music, and Fun Resources! 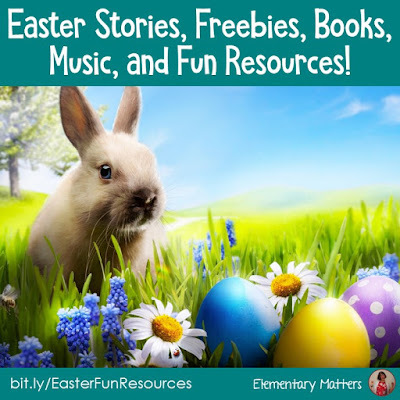 Easter Stories, Freebies, Books, Music, and Fun Resources! I can't believe Easter is almost here! It's not even April, and we still have tons of snow here in New Hampshire! But it's ok to keep an Easter theme AFTER Easter, too. After all, they'll still be eating chocolate bunnies and jellybeans, right? When it comes to Easter, I go straight for the classics! I'm not sure this one would be considered a classic yet, but in my heart, it's a classic! How about a little Easter Music? Did you know you can get a wealth of music, often with visuals, for free on Youtube? Here's one example of a fun Easter song, complete with lyrics on the screen! There's plenty more music videos for kids on Youtube: Just go to Youtube and search "Easter Music for kids." You'll find plenty, but definitely check it first... you never know! Of course, I wouldn't let you celebrate any holiday without a couple of freebies! 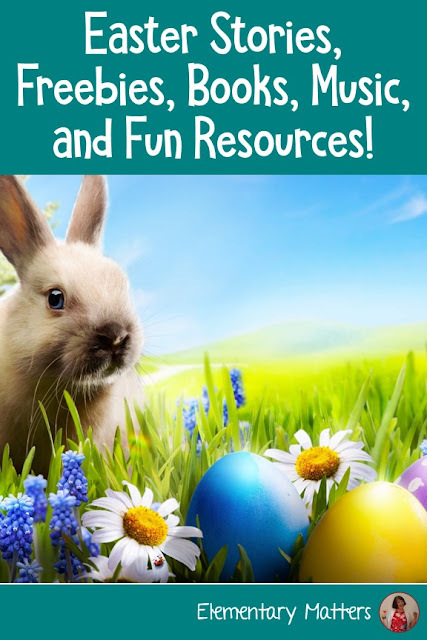 Here's another freebie: click the image for this variety of writing paper for Easter stories! I also promised Easter Stories. 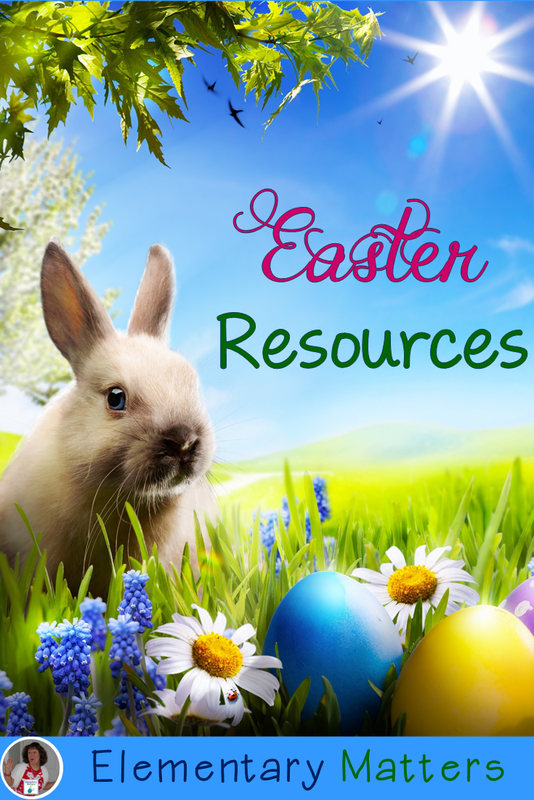 Click these links for previous blog posts, with popular Easter stories! 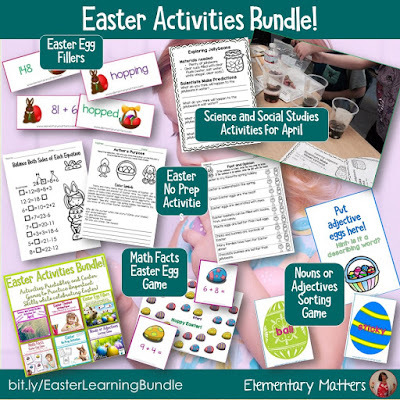 What does a bunny have to do with Easter? This blog post contains links to items on Amazon. These are affiliate links. If you use them, I'll make a small profit from your purchase, but it won't affect what you pay Amazon! If you use them, THANK YOU! (It's not much, but every bit helps! Subscribe to our mailing list and get a free FUN calendar! Looking for a Specific Subject? A Good "Ugly" Cry! It's good for you! What Would Make Your Teacher Life Easier? Pass the Clap - A Fun Game!